Just Move Right Into This Absolutely Stunning Open Layout 4 Bedroom Home Featuring A Brand New Granite Kitchen With Stainless Steel Appliances & 2 Brand New Full Bathrooms. 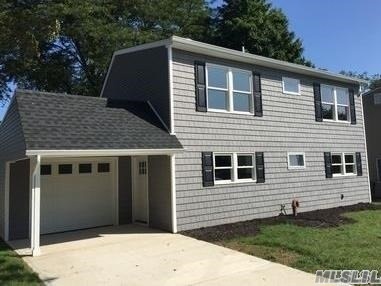 This Home Features Gorgeous Hardwood Floors, New Vinyl Siding, All New Windows, New Roof And Gutters, High Hats Throughout, 200 Amp Electric, Private Yard And A Brand New Bosch Cac/Heating Unit. Don'T Miss Out On This Amazing Home!!!! The Paperwork To Grieve The Taxes Has Been Filed!